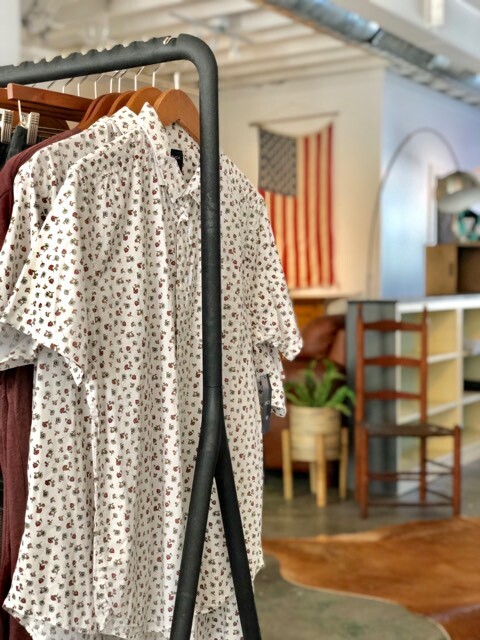 The shop is located at 1029 Central Avenue and carries shirts, shorts, swimsuits, backpacks, hats, wallets and more from brands like Herschel, Billabong, Vissla, Kenny Flowers, and RVCA just to name a few. But Matt wants Matter of Fact to be more than just a shop for men. “Whether you are enjoying a hand made beverage at our complimentary bar, live music, beer or wine tastings, or beard product demonstrations from local vendors, I want each trip to my store to bring something different,” says Matt. When Matt was younger, he was always a little more interested in clothing and was often told he looked more put together than most of his other guy friends. He never really thought much of it though. After graduating from FSU, Matt got an office job and worked his way up the corporate ladder until he become Director of National Accounts. In the back of his mind, he’s always wanted to start his own company but never had the confidence to break off on his own. It took a big event in Matt’s life to gain the courage he needed to open his own business. “About a year ago I finally decided to come out as gay to all my friends. That probably explains my proclivity towards fashion when I was younger,” laughs Matt. “The incredible response and support I received from everyone was pretty life changing for me. A byproduct of that support was a surge of confidence in myself.” And that confidence is exactly what Matt needed to take the leap into business ownership. The idea for Matter of Fact was born out of a conversation between Matt and Amanda, who’ve been friends for almost 10 years. Matt remembers, “Amanda mentioned she couldn't count the amount of times someone approached her to open a men's clothing store. She explained she had the know-how to do it, but not the time to make it work.” That’s when the lightbulb went off in Matt’s head. He had the time, but not the know-how. As the months went by, discussions turned more and more serious until Amanda and Matt decided to make it happen. The two started planning the concept by researching brands, store layouts, pricing, and more. And as luck would have it, the parcel next to Ashe Couture opened up, so they jumped on the opportunity. Today, Matter of Fact, a curated men’s shop, opens their doors to the public. And the timing couldn’t be better. A few months ago, 930 Central Flats started leasing their 218 apartments about a block away from the shop. Another 368-unit apartment tower, Icon Central, located two blocks away will start pre-leasing in June. Downtown has always had its fair share of women’s boutiques, but men’s apparel has always been neglected. Some shops had a rack of menswear nestled in the back corner, but there had never been a dedicated men’s store (not counting consignment shops). Two years ago, Gray Space debuted in Downtown St. Pete, finally introducing mens clothing to the downtown retail scene. Then Sartorial Inc opened, specializing in men’s formal wear. Over the past month, the men’s clothing scene really started to heat up. Atlas Body + Home opened at 919 Central Avenue and Gray Space announced their move onto Central Avenue, which is set to open April 6th. 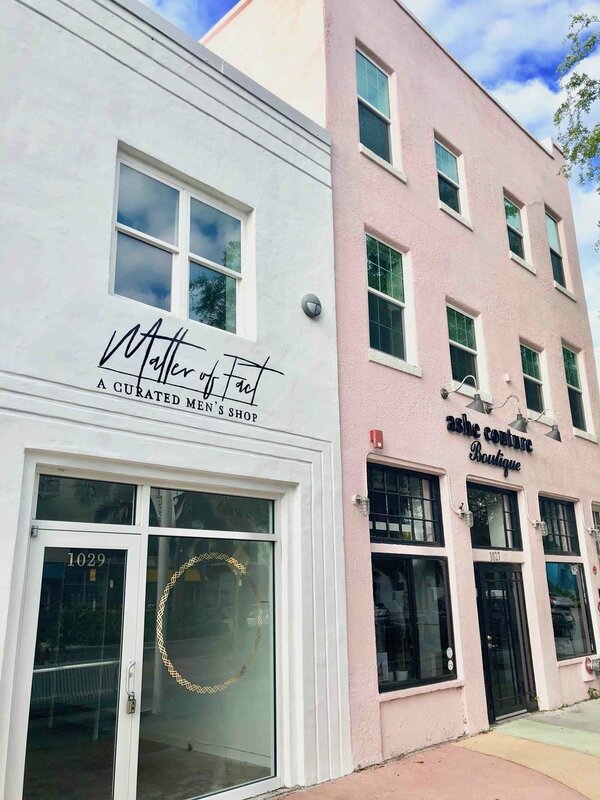 Matter of Fact is located at 1029 Central Avenue, directly next to Ashe Couture, in the EDGE District. Their hours are 11am to 6pm Tuesday - Saturday and closed Sundays and Mondays. Be sure to follow Matter of Fact on Instagram and visit their website.